Nearly 700 alumni returned to campus in April to celebrate classes with graduation years ending in three and eight. Traveling from 40 of the United States as well as two foreign countries, alumni came from near and far to reconnect with one another and with their alma mater. The event was a resounding success, thanks in part to 170 volunteers who helped lead a record-shattering reunion fundraising effort. Overall, this year’s reunion classes collectively raised more than $1.5 million for the 2017-18 Annual Fund and committed a total of $5.2 million in current gifts and future pledges to the Annual Fund. Members of the Class of 1968 celebrated their 50th reunion by breaking a number of records established since the reunion giving program began in 1986, including the number of Reunion Calyx biography submissions, reunion attendance, total reunion gift, class project gift total, five-year Annual Fund total, and class project participation. Each year, the 25th and 50th reunion classes select a class project. The Class of 1968 chose to build upon the Class of 1968 Scholarship Endowment established during its 25th reunion. Members raised more than $2.8 million to increase the scholarship endowment to a level that will cover full tuition, room and board for recipients. Overall, the Class of 1968 gave more than $11 million in honor of reunion, with an 80 percent giving participation rate. The Class of 1993 also enjoyed a successful 25th reunion, presenting President Will Dudley with the third largest 25th reunion check in W&L’s history. 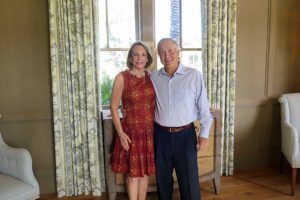 They surpassed their $750,000 class project goal by raising just under $1 million for the new Richard L. Duchossois Athletic Center, now under construction. The class’s generosity will be recognized with the naming of the Doremus Patio, overlooking Cannan Green. Class of 1993 co-chairs Chris Boggs and Susan Moseley George thanked the reunion class committee members for their hard work and generous support leading up to reunion. “We couldn’t have done this without them, and it has been so fun to reconnect with everyone,” Boggs said. Another achievement for the Class of 1993 is the notable increase in women leadership donors. 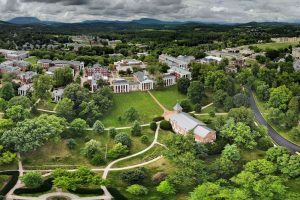 This year’s 25th reunion class had more donors contributing gifts of $12,500 or more and more donors contributing $50,000 or more than any other coeducational 25th reunion class at Washington and Lee. The previous record for women giving $50,000 or more was three. This year, eight women from the Class of 1993 made gifts at this level in honor of the milestone event. One of this year’s 25th reunion leadership donors, Lee Rorrer Holifield ’93 also took home a Distinguished Alumni Award. She and her husband, Mike Holifield ’89, became the first alumni couple to have received the award. All three sororities represented in the class had a giving participation rate of at least 75 percent. The Class of 1998 also set a gift record for the 20th reunion, raising $802,000 for the Annual Fund, and the Class of 1988 raised more than $900,000, setting a new bar for the next 30th reunion class. In addition, a new award recognizing the class with the highest percentage of reunion registrants who also participated in the Annual Fund was presented during the gift ceremony. The Reunion Chairs’ Bowl was presented to the Class of 1973, as 100 percent of the reunion registrants made gifts to the Annual Fund.